I feel like I just blinked and January is already over. Any who, happy February folks! I’ve decided to begin posting monthly beauty favorites to my blog. I feel like I try a decent amount of products regularly and everything may not get posted. But, if I end up obsessing over a product I’d love to share it with you. In January I tried a few new products-not necessarily new releases but, products that are new to me. So, here is a list of my favorite things in January. I believe in another post I mentioned that BB creams (Beauty Balms) were all that I use. Well this stick was my introduction to foundation. I absolutely love it! It’s so easy to use and the coverage it gives is really good. I don’t have many blemishes to cover so, for me it’s full coverage. I’d say it has a matte finish but does not bother my dry skin. I use the shade “Chestnut” and I buff it into my skin with my Morphe “M439 Deluxe Buffer” brush. This foundation is only $25.00! I did a full review on this palette and honestly I am still in love with it. Lately I’ve been doing a lot of eye looks using “Mod” and “No Filter” in my crease. This palette is so amazing I cannot say enough good things about this palette. Just take my word for it and buy it. It retails for $53.00 and can be found at your local Sephora or Ulta. For more details and swatches of this palette read my review here—-> https://beautywithbeeblogs.wordpress.com/2016/12/05/tarte-tarteist-pro-palette/ . I got a sample of this primer from a friend-she received it in a monthly subscription box. She wasn’t interested in using it so I gladly took it off her hands. I have very dry skin and this primer has been heaven sent in January! After toning and moisturizing; I apply a drop of this to my face. I do not go right in with makeup but I allow it to really soak into the skin. After fifteen minutes I begin with eyes then proceed with foundation. I’ll admit it does make me glow but in a good way. If you have oily skin you may want to steer clear away from this primer and try the “Photo Finish Primer Water” by Smashbox. My make-up stays in place all day and my face remains deeply moisturized underneath. I stumbled upon this product while aimlessly wandering around Ulta. I’ve tried a few products from the YesTo brand before and I’ve only been disappointed once. I’m not a fan of their cucumber make-up wipes. Not really sure why but, I don’t feel like it cleaned my face. 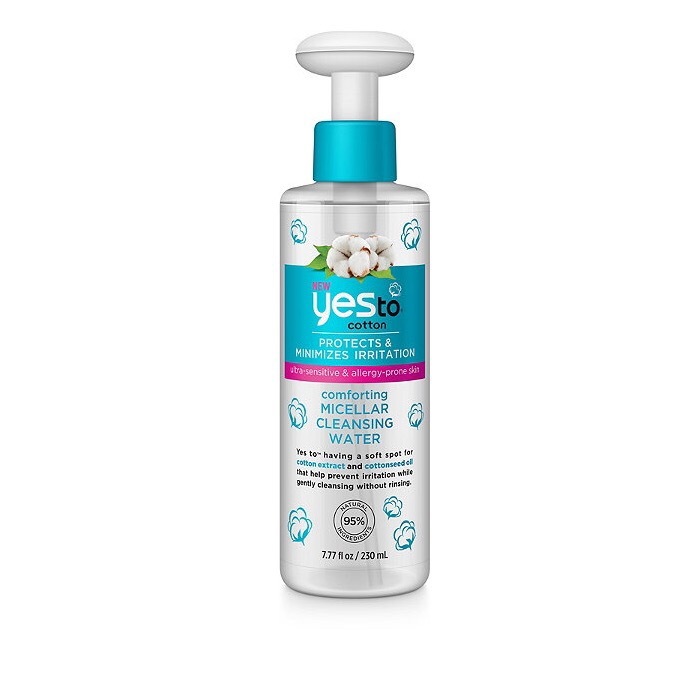 Therefore I was a little skeptical about trying out this micellar water but I grabbed it anyway along with the corresponding wipes. Let me say I was blown away by how it removed my make-up in one swipe. I plan on doing a detailed review soon. I’ve actually had this concealer for a little bit now but never really used it. I bought it because it’s suppose to be a dupe for NARS radiant creamy concealer. I am allergic-I got extreme red patches under the eye after using- to something in the NARS concealer so, I was intrigued to try this. The consistency of this concealer is light and a bit watery but it blends out like a dream. I used the shade “08 Nutmeg” and “07 Tan” to highlight under the eyes and conceal. I purchased mines at Ulta and it retails for $4.99! I decided to give this product a whirl after seeing it being raved about on Youtube. This lip oil is $26.00-I’d admit it is pretty darn expensive- but, it’s definitely worth every penny! During the winter months I feel like I struggle the most with chapped lips. With that being said I am always on the hunt for something to give my lips moisture. The Clarins lip oil has a rather thick consistency and gives my lips an amazing shine. Honestly I can apply this and not be urged to reapply for at least 4-6 hours. It comes in three different tints however it’s very sheer and gives no real pigmentation. I own the raspberry tinted one and it just gives a flush of color. This is a lip oil I will continue to repurchase. I purchased mines from Nordstrom. Call me crazy but, I picked this lip balm up because the Clarins lip oil is $26.00 and I needed something else to used in between that. I pull this lip balm out to wear under lipsticks because the Clarins is too thick for that. I have one handy at work to use once the lip oil has faded during my 10 hour shift. It’s just the perfect fix and it’s inexpensive. I was using a lip balm from Jack Black but I couldn’t get it everywhere. I was always forced to order it online from Sephora. I can get this Vaseline Lip Therapy from Target, Walgreens, Wal-Mart etc. It retails for $3.49 and saves the day! These babies have literally changed my life. 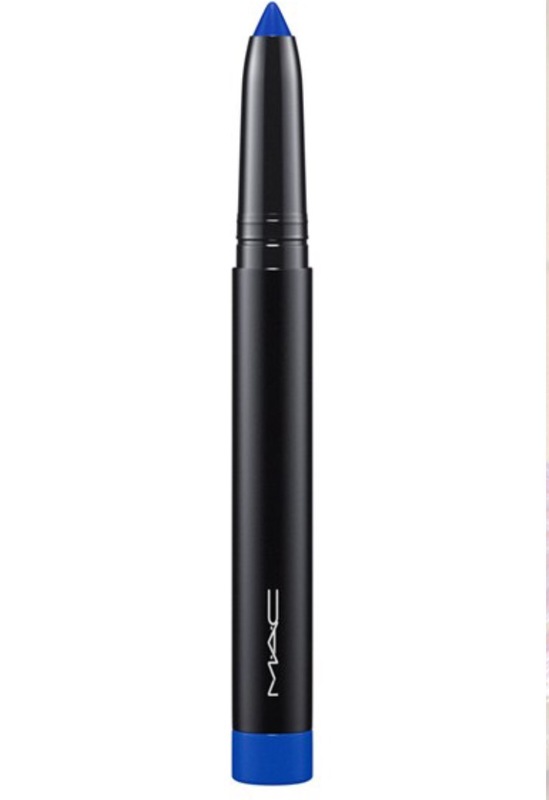 MAC is sorta known for their “Pro Longwear Paintpots” well this product is it in stick form and it’s waterproof! The application process is so easy because you basically just draw it on. I’ve been using these as eyeshadows by drawing them on and blending out the edges out with a fluffy blending brush. But the possibilities are endless with this product! It can be used as a eye liner, eyeshadow, eyeshadow base etc. The fact that it is waterproof should not be taken lightly because once it sets it’s there for LIFE! I found this out the hard way by doing swatches and it taking all day to remove them. Ladies, simple soap and water will not remove this product. I think these will be perfect for summer! They retail for $22.00 but I was told they are being discontinued so get them while you can. I have a love hate relationship with blush considering I tend to always somehow go overboard. My mom would always tease me by saying I look like Mimi-a character from the Drew Carey Show. Anyway this blush is beautiful and most definitely is brown girl friendly. I have a few different shades but “Red Vino” has been my favorite all January. It adds just the touch of color I need on a day to day. Theses baked blushes are very buildable and give off a beautiful sheen. They retail for $9.99 and can be found at an array of places. Unfortunately I can’t find them at my local retailers so I had to order them from CVS but, if you live in a bigger city I am sure you’ll have no problem. Every year Bath and Body works has a semi-annual sale where a number of different products are available for dirt cheap! This is the time where many people rack up and it seems like Black Friday all over again. I typically don’t do too much shopping at Bath and Body during these events because I am in there all the time and if I really wanted it I’d have it already before the sale. However, I walked in there and got sucked into purchasing a body butter. I usually buy the body creams. Their body lotions don’t hydrate my dry skin enough. I have never tried any of their body butters before but for $3.75(during the sale) I figured why not? I fell in love! They are so amazing! They are absolutely more moisturizing than the body creams and I think fragrances lasts longer than the creams. The consistency is thick so a little goes a long way! Recently they released more body butters. These comes in a whipped consistency so they’re lighter than original but they melt into your skin like butter! I’d recommend these if you have dry skin. Lastly, this highlighter is everything. I’ve been using it consistently since I received it. I raved about it in a review I did. You can see swatches and read my thoughts about it here—-> https://beautywithbeeblogs.wordpress.com/2016/12/28/artist-couture-x-jackie-aina-la-bronze/ . This product can be used in numerous different ways I tend to use it as an eye shadow and highlighter. It is no longer for sale which is a bummer. But you never know maybe Jackie Aina will collaborate with them again and create another special gem! Thank you so much for reading! I’d love to hear if you’ve been loving anything of these products in January too. Previous Post Say No To Flashback!